With a better understanding of your millennial employees you will be able to create a safer work environment. This eBook will walk you through everything you need to know about millennials. Wanting to know more about millennials? Check out these great blogs. It‘s time to open your eyes and embrace the millennials quickly entering your workforce. “This generation already represents more than a third of the American workforce — that number will rise to 50% by 2020 and will rise to three-quarters by 2025. By the time that day comes, it’s possible the professional world will have several new priorities, opportunities and values” (source). It’s up to you to understand more about millennials so you can better train and work with millennials on a daily basis. You might see a “young” person and assume, yup there is a millennial. Really, they might actually be in Generation Z or even X. There is a lot of debate about the exact years for each generation. For this eBook, we will be looking at Generation X as 1965–1980, Generation Y (Millennials) as 1981–2000, and Generation Z as being born after 2001 (source). That means everyone older than 38, even though still young, is not a millennial. We are looking at everyone ages 18–37. This is the group of people you see on their phones, using emojis, saying terms you probably don’t understand, and laughing at every GIF on the internet. Like every generation, there are people who fall into the “millennial” stereotype perfectly. There are others—often those on the edges of the generation cutoff—who don’t fit the mold. No surprise, right? Not every baby boomer acts the same way, even if the entire generation shares similar characteristics. Although new to the game, millennials respect traditional values more than most people would like to believe. They grew up in a world filled with more widespread violence — mainly due to an increase in the coverage of it. Columbine, 9/11 , Boston Marathon Bombing, and the Orlando Shooting (worst terrorist attack since 9/11) are only a few of the events they have lived through. The common nature of school shootings has increased since their childhood. 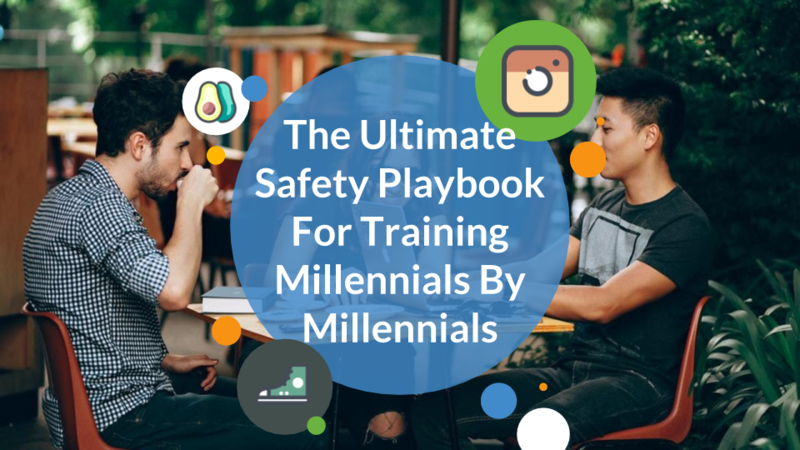 Because of these unfortunate events, the millennials on your payroll are ready to participate and help with incorporating safety in the workplace. PRO TIP: How do you incorporate safety in everything you do? Have you overheard someone say, “adulting is hard” or “I am so good at adulting.” This is a term millennials LOVE! Really it’s just the actions and parts of life that they associate with adult life — paying bills, getting married, buying a house, and of course... work. There are 75 million millennials who joined the workforce in 2015 (source). All of them are on the path to adulting. What does that mean for you? It means there are a lot of millennials on their way to wanting a job from you. You need to understand everything about millennials before you just start hiring every single one of them. Millennials have a variety of skills that are beneficial and some that you should try to avoid. 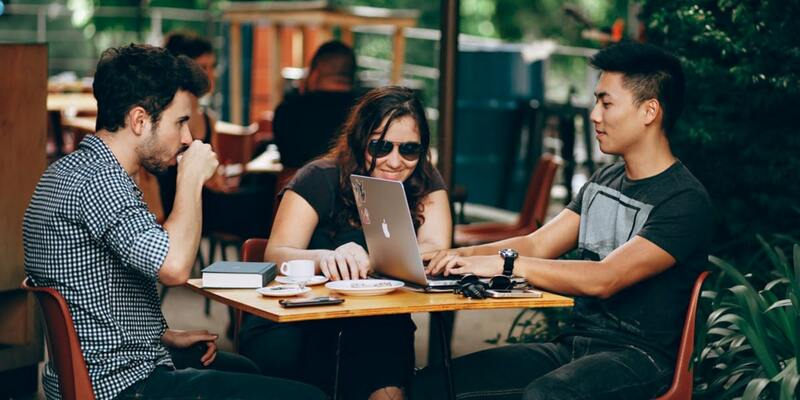 Although it’s a cultural laugh at the millennials’ expense, their knowledge and experience with technology is helping to change the way it’s incorporated in the workplace. Millennials will be the ones to mold the use and expansion of technology as we know it. They won’t have to be educated in this lifestyle that is already second nature to them. TIP: Keep an eye out for millennials who are knowledgeable about a variety of technologies. Stay away from the millennials who seem to be so attached to their phones that it is distracting. Millennials are constantly looking for ways to change and grow with their environment. This generation in particular is known for taking what is already in place and simplifying it. Millennials are always looking for a newer, easier, and more efficient way to do things. TIP: Look for millennials who seem to be bubbling over with good ideas. However, keep an eye out for millennials who understand the right time and place to voice their opinion. It’s a balance that not all millennials understand. You are sitting in a room and someone asks a question that no one knows the answer to. The people who pick up their phones to Google the answer those are your millennials. This is a skill set that every millennial grew up with. TIP: Keep an eye out for the millennials that Google. These are your go-getters. It is crucial in the ever-evolving world we live in that your employees have a sense of self-learning. Millennials have opinions—and strong ones. We can say this because we are millennials. The key is if millennials can figure out when and where to state these opinions. The professional millennials in your workforce have mastered this skill. For those who haven’t, they might need some hand-holding or they might not fit with your company culture. A millennial who doesn’t understand the place for opinions or how to deliver them can cause more problems than good in a workplace. TIP: Take advantage of this trait by giving your employees an outlet to express their opinions. You can do this by adding a simple, open-ended feedback question to your online training. In between jobs, you might see your employees on their phones. Don’t get mad. Just ask them what they are up to. You never know when one of your employees has a hidden talent. 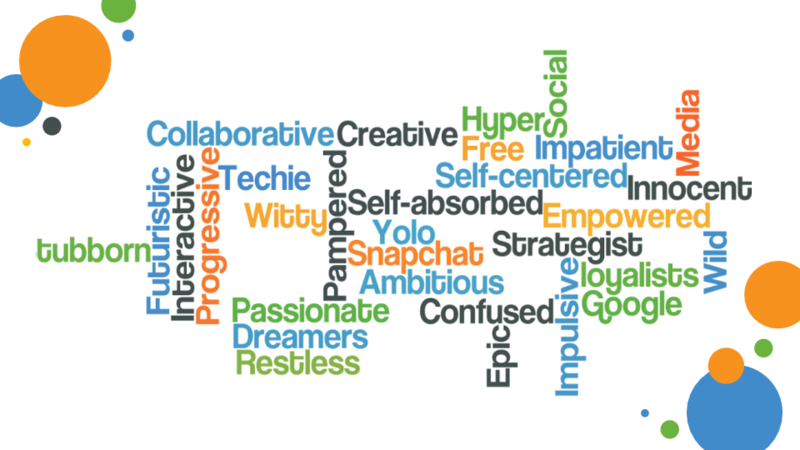 Millennials are chock-full of random skills. TIP: Ask your millennial employees what technology they use. Knowing what technology your employees use is helpful for planning your safety program. If you have an employee that loves video, you might have yourself someone who is willing to be on camera or to help behind the scenes. There is no need to treat millennials like children, but positive reinforcement will help to keep a positive workplace. Following the example that you lead should cause employees to be more likely to want to put that effort back into the workplace. Reassurance and recognition won’t become a chore if your goal is to make it second nature. Continuous listening is the key to positive employee experiences! TIP: Try keeping an open line of communication so that your younger employees will feel comfortable completing tasks without focusing on “checking in” with everything that they do. The entitlement of a millennial shouldn’t be viewed as “bad,” but should be seen as a personality trait that will help most millennials strive for a higher work performance. They are looking for a chance to provide input and ideas, but they also require feedback about how they are doing. It’s up to you to give them an outlet to voice their thoughts and opinions. TIP: Take some time to decide what your employees need or will be exposed to vs. what it is they expect. In making them aware of what lies ahead for them, there is less chance of disappointment or failure in meeting work expectations. So what does that mean for your safety training? That means these types of employees are ready to stop reading pages and pages of safety documents and are more than ready for a new and improved online training method. PRO TIP: Small changes can make a huge difference. Have seasoned employees record videos in the field and add those to your safety trainings one at a time. Switch to an online safety training program to work with your in-person trainings, not against it. Pick a program that is accessible on the job site and on all mobile devices. We have reached a point where three generations are working together—the oldest being a generation that remembers a time before technology. There is a clear gap between this oldest generation and the youngest. It’s up to you to understand and explain to your employees that knowledge can be passed both ways! Let us not fall into the pitfall of losing information from the workforce faster than we are passing it on and retaining it between generations. Are you thinking this information transfer is never going to work? Millennials just think they are too cool? Did you know that millennials are actually looking for all of the following? PRO TIP: Pair millennials up with a veteran employee right from the get-go. If they have one person they can always connect with, they will feel more comfortable. Before you start training your millennials, you need to understand how they learn. Take a look at these 5 R’s to get a quick glimpse at how most millennials learn so you know how to train them (source). Research-Based Methods - Millennials prefer a broad spectrum of learning strategies. Relevance - They may not value a piece of information for its own sake, but more for its relevance to their lives. Rationale - Millennials were raised in a less authoritative environment. Relaxed - Millennials prefer a relaxed learning environment with minimum pressure, more freedom to complete assignments and also more freedom for personal expression and creativity. Rapport - Millennials prefer and appreciate instructors showing a personal interest in their training and development plans and achievement goals. PRO TIP: To keep a millennial’s interest, now that attention spans are shorter, try changing your delivery format. Instead of delivering a 10-page PDF document that they are required to read, try delivering a 4-minute video. Millennials prefer learning through visual, auditory, and kinesthetic material (source). 80% of Gen Y said they prefer on-the-spot recognition over formal reviews (source). What’s more important is that millennials feel that feedback is imperative for growth and understanding of a job. In order to allow everyone to improve, provide feedback in short, helpful bursts. Keep in mind! Good managers should recognize and highlight the results of work if millennials have a deep drive to effect a change in everything they work toward and enjoy seeing an impact of their actions on a larger scale. PRO TIP: Try adapting the S.M.A.R.T. Method for feedback. S- Specific: This is your opportunity to eliminate misunderstandings. Making things too general will leave room for misinterpretation and can potentially lead to conflict. M- Measurable: Set out a method of letting them know or keep track of when the objective is close to achievement or will be achieved. A- Achievability: Let them feel like they own, and are responsible for, objectives they can accomplish and are not impossible to achieve. An employee will lose motivation and shut down if objectives are unrealistic. R- Relevant: Relevance is a millennial favorite (among 40 others). They want to feel like their work has meaning and will contribute to the company as a whole. T- Time Based: Define a time frame so it is clear when an objective should be achieved. Why do you need Ving? Ving is a safety training program designed around microbursts of online training. These microbursts of training allow you to save time and create an environment for your employees to be better learners. Ving is ideal for both centralized and decentralized workforces. Don’t delay; learn more about Ving today.